I received free products in order to facilitate this review. All opinions expressed are my own. Reading has always been an important part of my life, especially now that I have kids of my own. I started reading to both of my kids before they were even old enough to talk and I truly believe that because of this they will have a love of reading their entire lives. Creating a love of reading begins at an early age and there are lot’s of things that you can do to help your children excel. In addition to reading stories to your kids each night there are also fun, hands on activities you can create with your kids. Alpha-Bits cereal has a great list of activities and recipes to help get you inspired. 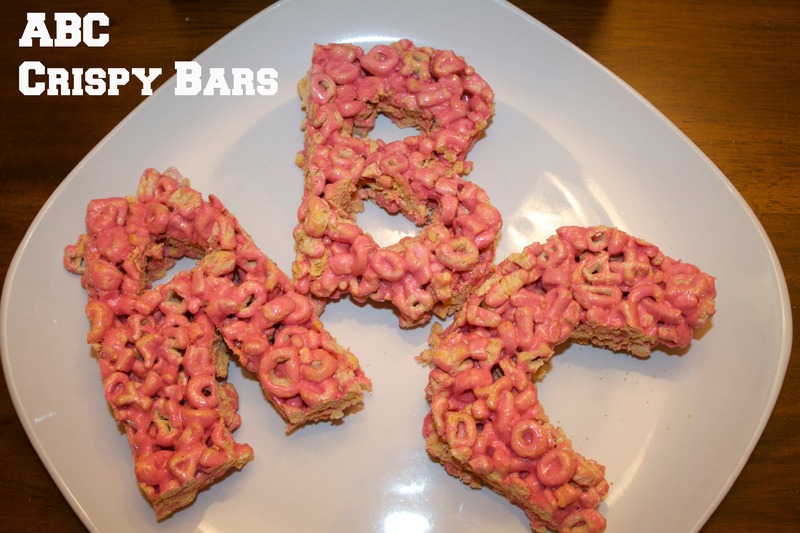 This past week my kids and I made some ABC Crispy Bars which we used to make different words. It was fun to see just who many words you could come up with. These crispy bars are super easy to make. Here is what you need. 1. Line a 13×9 inch pan with lightly greased foil. 2. In a large bowl, microwave the butter on high for 45 seconds or until melted. Add the marshmallows and soft drink mix. Any flavor is fine we used fruit punch to make a pinkish color. Mix well. 3. Microwave the marshmallow mixture on high for 1-1/2 minutes or until the marshmallows are completely melted and mixture is well blended. 4. Stir in the cereal and coat well. 5. Press the cereal mixture firmly into the prepared pan. Cool completely. 6. With the cookie cutters, cut the cereal into 12-15 squares. If you don’t have a cookie cutter you can cut the letters out by hand with a knife. 7. Store in an air tight container at room temperature. 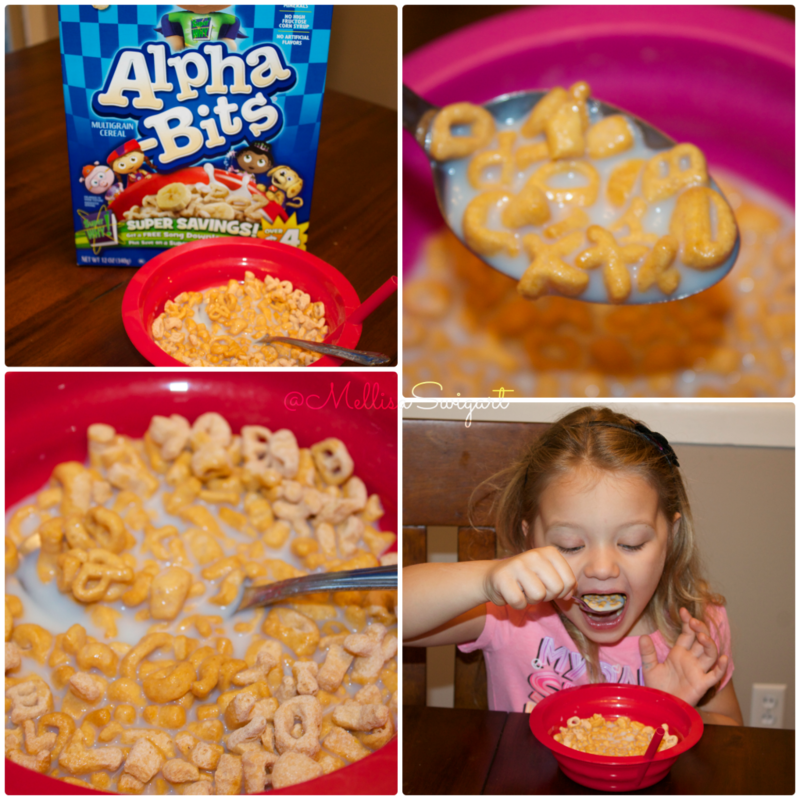 My kids LOVE Alpha-Bits cereal and it’s cute to watch them make words while they are eating their cereal and milk in the morning. They got a HUGE kick out of making, spelling and eventually eating the ABC Crispy Bars. This is a really fun activity and a great way to get your children excited about learning letters and reading. To learn more about Alpha-Bits cereal and for more inspiring recipes and crafts you can visit Alpha-Bits Cereal online.Just for fun below are some literacy facts that are pretty interesting! Enjoy. To Kill a Mockingbird is the only novel authored by Harper Lee. Many people mistakenly think that the Monster in the novel Frankenstein is named Frankenstein. But, in fact, the Monster is never given a name in the novel. The original title for Where the Wild Things Are was Where the Wild Horses Are, and it would have featured horses instead of “things.” However, Maurice Sendak could not draw horses. When Sendak’s editor asked what he could draw, he replied, “things.” And “things” are exactly what ended up in the book! Green Eggs and Ham contains only 50 different words. Dr. Seuss wrote the book after a publisher challenged him to a bet, that he could not write a book with so few words. Needless to say, Dr. Seuss proved the publisher wrong. Thank you for the recipe my kids love it !! This is a cute idea. My youngest is just learning her alphabet and helping make these would teach her a lot. These are too cute! 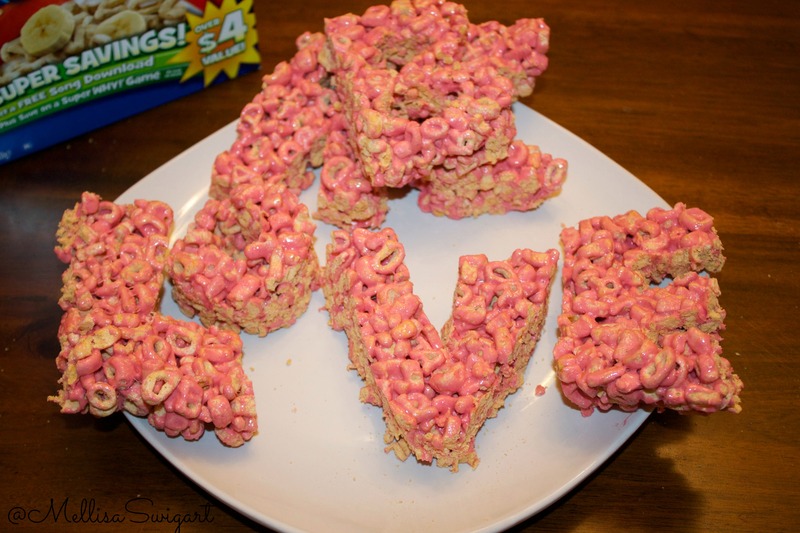 I would be honored to have you hop over and share with us at the Tip Me Tuesday No Bake Linky.